Cats are, by nature, agile animals that invest plenty of time and energy searching for prey. At home, cats normally turn into sedentary pets that are prone to become overweight. This risk increases after sterilisation. However, a physical activity plan along with a well-balanced diet may help cats keep fit. Many cats with no access to the outside spend most of the day sleeping or carrying out calm activities, such as grooming or watching what is happening around them. It is a very frequent phenomenon that cats with low physical activity consume more calories than their bodies need, and, as a consequence, they are prone to accumulate body fat. This problem may become more serious after sterilisation, when the metabolic rate of cats decreases and they start burning fewer calories. Under these circumstances, keeping a well-balanced diet and planning daily physical activities will help to keep the cat's weight under control. The first step of the physical activities plan consists in increasing physical activity at meal times. 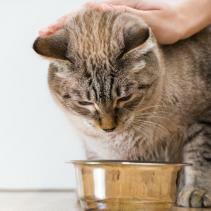 Instead of placing their daily portion in feeding stations, you may stimulate your cat's feeding instincts, such as locating and capturing prey. For example, you may spread food throughout the floor or hide it in different areas at home, place it inside a hollow toy, such as a ball or a small plastic bottle with openings, or you may throw rolls one by one to make your cat jump and move to catch them. For animals it is natural to “work” and spend time carrying out activities related to hunting. However, having their food gathered at one single place and eating at certain times of the day has nothing to do with their nature. Another key step of the programme is encouraging them to play. Every cat is different; however, most of their games are related to hunting. In order to awaken their instinct, it is advisable to use mouse-sized light toys, possibly with feathers, that can be easily moved to simulate a prey trying to run away from your cat in a straight line. There is a wide array of cat toys on the market, including remote-controlled mice and toys with timers, which can be set to entertain cats when owners are not at home. Cats get tired easily: in nature, they experience explosions of energy while chasing and hunting their pray, and this is followed by prolonged rest periods. So the best way to make your physical activity plan succeed is to organise several short game sessions until you reach approximately thirty minutes of daily physical activity. Obviously, overweight cats should increase their physical activity progressively. Physical activity can also be increased by creating more complex spaces with shelves and cat trees, providing them with cardboard boxes or giving them controlled access to the outside. 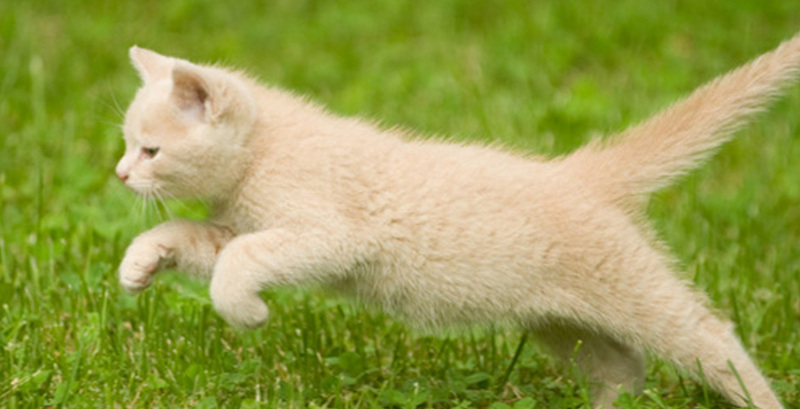 There are many options available to make your home-loving cat do more exercise! Always choose activities according to your cat's characteristics and your availability; it is very important that such exercises keep your cat fit, stimulate its mind and improve its quality of life. So, let's get on with it! ¡The bikini body challenge starts!